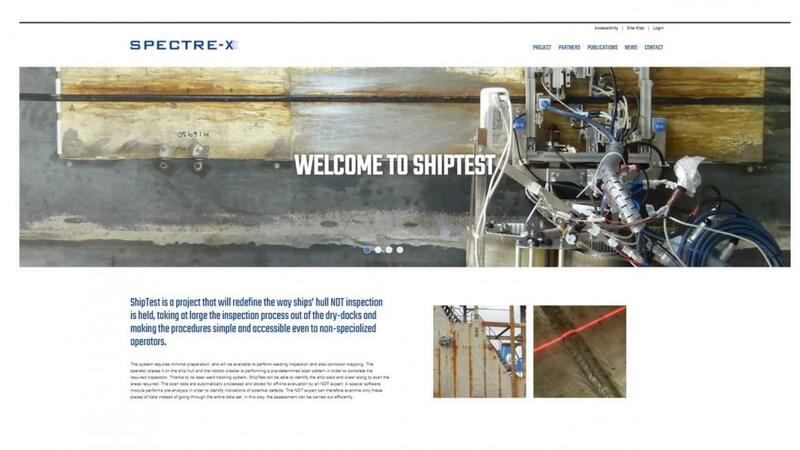 Currently we are involved in and also playing the role of the coordinator of the “SHIPTEST” project. The project is funded by the EU under the an FTIPilot Horizon 2020 scheme. The international consortium behind the project is involved in the development, certification and commercialization of a robotic inspection system capable of semi-autonomous weld inspection of ships’ hulls. The laser guided inspection robot that was initially developed during the X-Scan project, has been further enhanced, miniaturized and developed for commercial use.